When you are trying to find a good spot to have breakfast in Tokyo, it can be difficult just because there are so many places that serve great breakfast in Tokyo. Today, we are going to look into Sarabeth’s OGURA French Toast. For those of us that love a sweet, unique, and filling breakfast in Tokyo, this might be the spot for you! 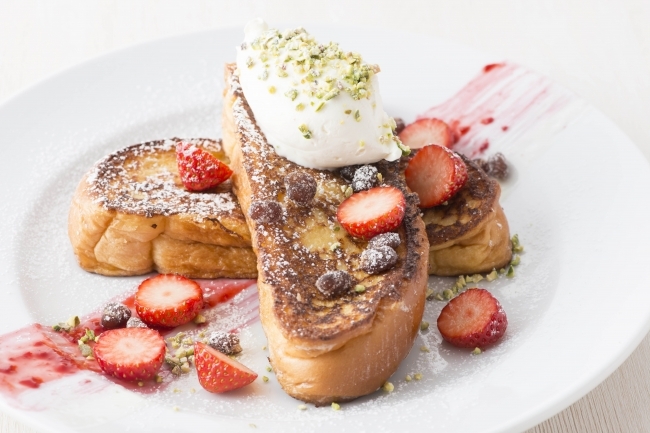 The only downside with Sarabeth’s OGURA French Toast is that it’s only for a limited time! Breakfast in Tokyo is great, but menu items tend to change quite often to keep their menus feeling new and fresh. During spring, a lot of shops tend to come up with unique western plus Japanese dishes and mix them. Today we will go over OGURA and French toast mix. What’s OGURA? Let’s find out! 1 What’s an OGURA French Toast? What’s an OGURA French Toast? 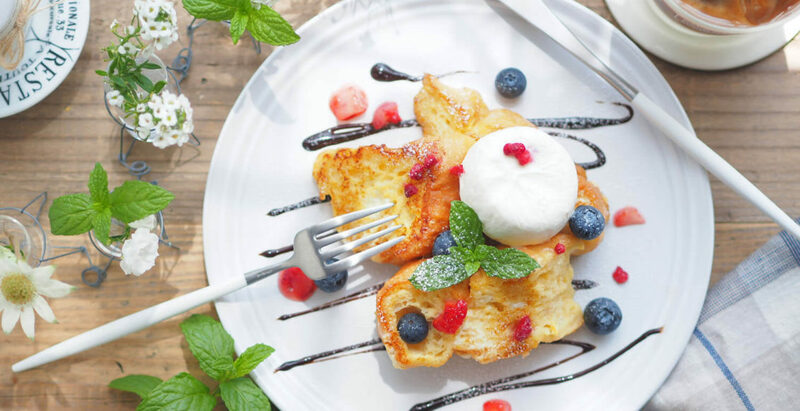 You can tell from the image above that Sarabeth’s OGURA French Toast looks elegant and delicious. Compared to other local breakfast in Tokyo, I loved the look of it. But, of course, to decide if a breakfast in Tokyo is worthy of writing about, we have to first determine if it has a good taste. But, before we get into that, first let’s explain what an Ogura Toast is. An Ogura toast is actually a local delicacy in Nagoya prefecture in center Japan. There are different variations, but the main ingredients include sweet Azuki red bean paste on toast or other types of bread. You can try this delicacy in a lot of different places during breakfast in Tokyo. 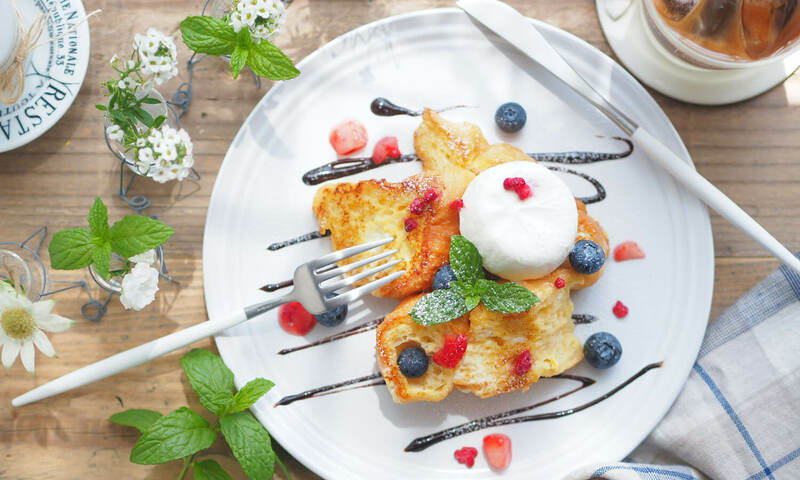 Sarabeth’s version uses French toast as the bread base and tops them off with OGARA mixed with berries and strawberries. This combination makes their version of OGARA fruity good! Now that you are getting hungry, it’s probably good to know where you can find Sarabeth’s restaurants during breakfast time in Tokyo. No worries, we have all the restaurants listed below! Sarabeth’s new breakfast menu item will start inArpil 1st to May 7th, 2017 ! If you just happen to be in Japan, go try them out! Sarabeth is known for it’s wide range of sweets and various spots to have breakfast in Tokyo. I love having breakfast and trying new dishes. I have tried Ogura before, but never with French toast. Ogura isn’t too sweet, but rather it gives you just enough of a sweet punch to keep you wanting more.That is why I am excited to try out this new variant of Ogura based breakfast!